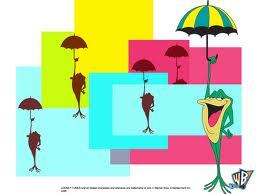 Are you Michigan J. Frog? When there is no audience what do you do? How do you live? What do you look forward to achieving? Do you float through time on the constant bewilderment of why you can’t seem to get it together? “When is it going to be my turn,” you say. But until then you feel anger toward those that are experiencing joy, you seethe with envy because your friend is getting married, seemingly with little effort in meeting the perfect person- -in three months? 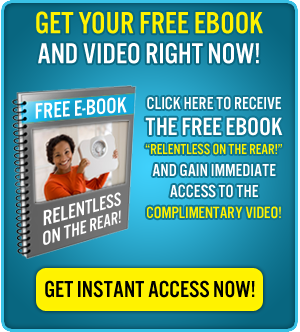 Do you lament in bed all day wondering why there is always something wrong with you? Always sick, always in another relationship that, no matter whom your love is, you always end up sad and alone? And then along comes a new acquaintance, a new church group, a spark in your heart. A new audience, a reason for you to be happy, to engage, a new reason to feel important, a new reason to participate in life. Lunches. Parties. Movies. Fun events! The new audience makes you feel fantastic! Compliments, encouragement, support. Applause! Life moves on as it continually does. The audience moves on and, you’re sick, sad and alone. Again. Lock yourself up in your room for 6 months while you rot inside believeing everyone around you just “doesn’t get” you. 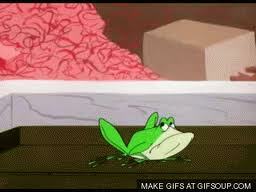 What’s this got to do with Michigan J. Frog? He performed for an audience, albeit one person, but not himself. In my experience as a trainer it proves to be extremely similar for humans that, when there is no audience, there is no performance, to the punishing detriment of the person. They become sad, depressed, angry, self-loathing, bitter, resentful. Broken. And they do it to themselves every single day. Live, act, BE, because you said so. Be deliberate and heal what ails you by using your powerful attitude and focus. Find the absolute exhilaration of life, the harmony of being happy wherever you are, whatever you are doing, because you’re choosing it for YOU, and nothing else. Look to you for the weightlessness of walking, talking, interacting, participating…..LIVING. You only find the calm, the pause, the laugh-till-you-pee-your-pants pleasure and delight (okay wet pants aren’t a delight but you get my drift! ), from within your very own Self. Look there. Look there first. Look there first always. You control every thought, feeling and emotion that passes through you. People don’t “make you mad,” it’s how you handled it that made you mad. Their actions toward you are simply how they are feeling inside. And you cannot fix them. But you can focus on how you feel every minute of the day. Yes, it takes practice. And the more you focus on the good in you, the better you will feel and soon enough, you will find you do not need the unhealthy relationships, just so you’re not alone. You will find the sparkle in you. The applause will come from you to you because of you. Let go and allow your heart to forgive you, then heal you, then grow you. The growing doesn’t stop. The attention to and for this lifestyle gets better with practice. And finally, (you knew it was coming), the tie into your own health. You get to pick every day how you are going to act. 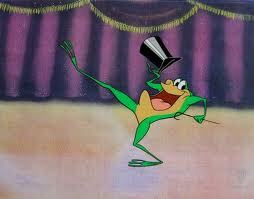 Go for it here just like Michigan J. Frog, and do it because you said so.